Welcome Home! 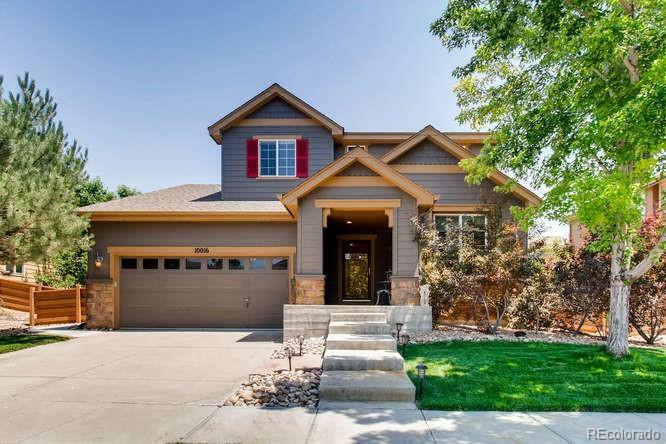 This Beautiful move-in ready home in is elegantly situated in highly desirable Reunion. This west facing home has both front and back yards that are beautifully & professionally landscaped with very minimal maintenance. 3 bedrooms, 2 baths upstairs, 1 being a 5 piece master and the 2nd Jack and Jill w/double sinks. 4th bedroom is on the main floor. Enjoy the open floor plan, beautiful upgraded granite slab and luxurious kitchen interior. Front entrance opens to a spacious hallway leading to an oversized dining room and the kitchen. Cozy gas fireplace in family room located right off kitchen. Vantage Lighting and Shade Control to reduce energy. Large open basement read for your creativity. Beautiful patio in backyard with full and mature trees which will also hide your neighbors for more privacy, great for entertaining. Enjoy all that Reunion offers: Trails, Parks, Pool, Golf Course, and so much more. Convenient to Denver. Don't miss this one!